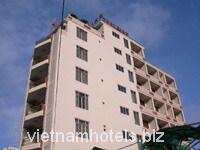 Located in the heart of Hue City, 100m to Perfum River. In 1636, Lord Nguyen Phuc Lan chose Kim Long to build the fortification for the Southern Land (Dang Trong). Dang Trong then developed into the Capital City of Phu Xuan (under Lord Nguyen Phuc Khoat), and later into the national capital of Hue (under Emperor Quang Trung and the Nguyen Dynasty) on the same site as it is situated now. To date, Hue has existed for nearly three hundred and sixty years, but in terms of architecture, it still preserves almost intact the appearance of a Vietnam’s ancient town built in the early 19th century. Hue has held its historical position for many centuries and enjoys advantages in exchanging and accumulating traditional essences, making it one of the biggest national cultural and historical centers. The hotel has 38 modern designed rooms and parking place. The facilities include: elevators, 24/24 International TV, air-conditioner, IDD telephone, minibar … Advanced sanitary devices are available inside the bathrooms. The bedrooms are decorated warmly and comfortably. The experienced staff and perfect services will satisfy you. » Tour desk and booking office. » Spoken Languages: English, French. » Facilities for the disabled. » Safety deposit boxes, Private parking. » Internet Access in hotel. The restaurant is large with 100 seats and serves a set menu breakfast and Vietnamese cuisine.